It’s amazing to me how quickly the world just gets to be a smaller place. The internet has opened a new world in the ability to connect with people all over the world and sometimes it holds some fun surprises! I also was thinking about what our immigrant ancestors would think of all the descendants they have left behind who have scattered all over this country and the world. I pondered these thoughts when I recently was contacted through my business by a lady who wanted to get some information on taking a heritage trip to her ancestral home places in Germany. “We would be happy to help you with that, “I replied “but what part of Germany are you interested in?” She wrote back, several hometowns in Westphalia, Germany and one of them being Bockhorst. That’s one of my hometowns, I told her, what names are you looking for? Huning, she said. That’s my family name there too! What a coincidence we thought. The emails flew back and forth with names and dates and we are figuring out where the connection is, what ancestor we share. This will be the second time in the past year or so I have connected with a cousin. Being in the genealogy business I go to a lot of conferences as a vendor and last spring was in my hometown at our spring conference. A man came to my table to inquire about a heritage trip and when I asked him what his hometown in Germany was, he told me Altenheim in southern Germany. That’s my hometown too! We compared names again and figured out we are cousins somehow removed and as we discussed family names and places people lived we were astounded when we thought how many “cousins” there must be just in our little area. It’s thrilling to find someone who actually wants to talk with you about these long ago ancestors and who gets as excited as you about thinking of visiting the place they came from. Since I have been lucky enough to have been to both of these hometowns I told them stories of what the village looked like, how beautiful the places were and how I thought how hard it must have been to leave. I talked about the people I met there and stories I heard, the documents I was shown and I tried to explain the feeling I got sitting in the church where I know they attended and got married and baptized their children. It really is undescribable. They both were so excited and said “it sounds like you were on Who do You Think You Are”. I said I felt like I was and that I hoped that they could have a similar experience. There just is nothing like “feeling” your ancestors in the place they lived and know that they are connected to you there. My Altenheim cousin went with us on our Baden tour this summer and got to walk through our small village and hear the stories about his family line and meet with some more cousins. My new found Huning cousin is in the planning stages for a visit in 2016, we can’t wait! How to have your own Who Do You Think You Are experience. 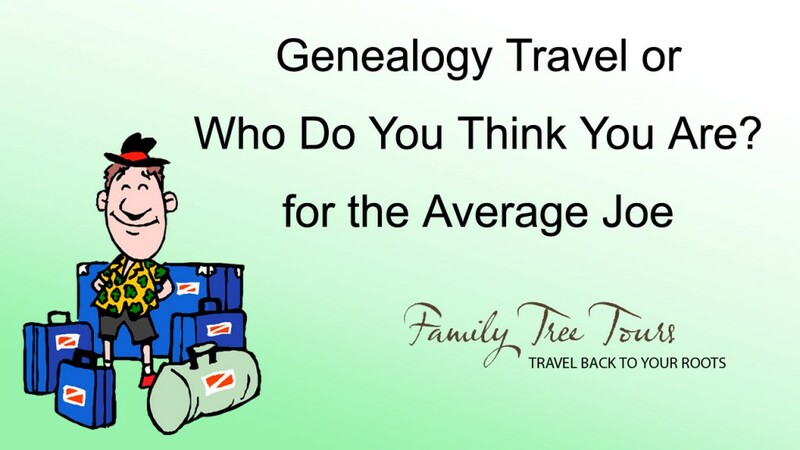 This entry was posted in Travel and tagged ancestral, ancestry, ancestry travel, archives, family tree tours, familyhistory, France, Genealogy, genealogytravel, Germany, heritage, Heritage Travel, Lisa Louis Cooke, Thomas MacEntee, travel, WDYTYA, Who Do You Think You are. Bookmark the permalink.